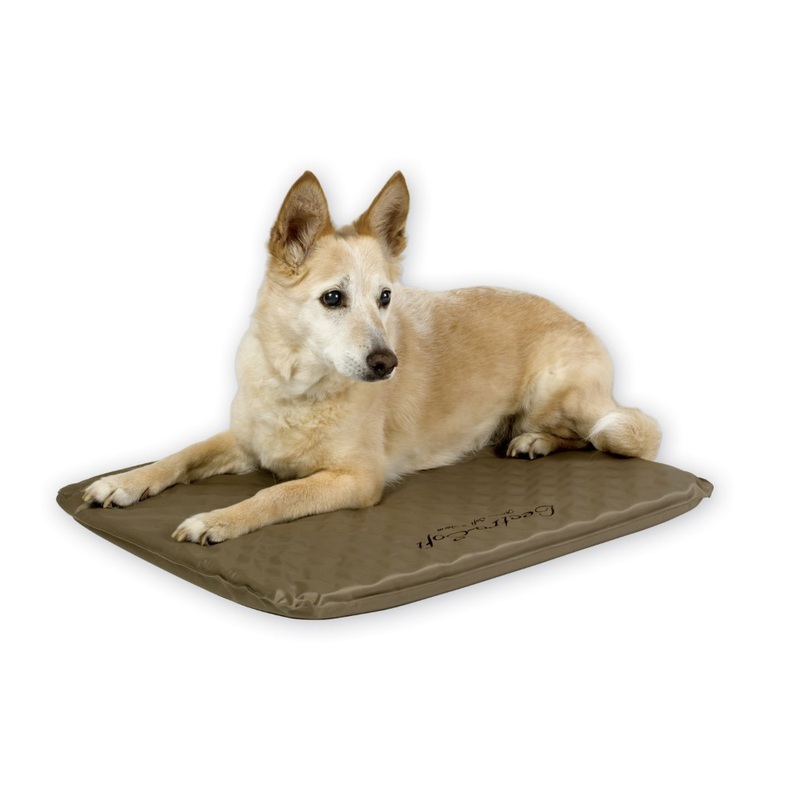 K&H Pet Products Lectro-Soft Heated Outdoor Bed Medium Tan 19" x 24" x 1.5"
The Lectro‐Soft comes in 3 sizes and is extremely low wattage. Perfect for doghouses, basements, garages, barns, sheds, porches or any other outdoor shelter. This soft, orthopedic bed is unique in that it will still provide soft, comfortable warmth even in sub‐zero weather! Super soft PVC is used on the exterior to ensure the bed doesn't absorb water and stay wet like a fabric bed would. 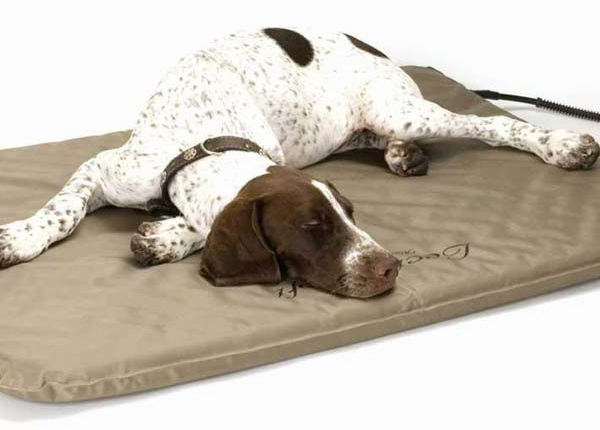 All KH heated beds and pads feature dual thermostats and are designed to warm to your pet's normal body temperature when he/she lies on the pad. When your pet is not on the pad, the heat will dissipate into the air and the surface temperature will vary according to the ambient air temperature. All KH heated products are thermostatically controlled to heat to 102° F, regardless of the size. Dual thermostat simply means there are two internal thermostats that will keep the surface of the bed at 10-15° F above ambient air temperature when your pet is not on the bed. When your pet lies on the bed, it will warm to about 102° F.
Dimensions: 19" x 24" x 1.5"
26" x 11" x 5"
19" x 9.8" x 3"